I’ve recentily repaved my development machine and installed Visual Studio 2017 adding nearly all features including, of course, Xamarin and all subsequent updates. error APT0000: 2: error: Error: No resource found that matches the given name: attr ‘colorAccent’. error APT0000: 1: error: Error: No resource found that matches the given name: attr ‘colorPrimary’. error APT0000: 1: error: Error: No resource found that matches the given name: attr ‘colorPrimaryDark’. error APT0000: 1: error: Error: No resource found that matches the given name: attr ‘windowActionBar’. error APT0000: 3: error: Error: No resource found that matches the given name: attr ‘windowActionModeOverlay’. error APT0000: 1: error: Error: No resource found that matches the given name: attr ‘windowNoTitle’. error APT0000: 3: error: Error: No resource found that matches the given name: attr ‘colorAccent’. After a chat with my friend Laurent we’ve discovered that problem depends on missing installation of Android SDK 24 (Nugat 7.0) after installing it using the new SDK Manager (via Tools->Android->Android SDK manager) problem was gone. Cause probably depends on referenced packaged used in default templates that no longer support Android Marshmallow (6.0) the version that gets installed by default by Visual Studio. 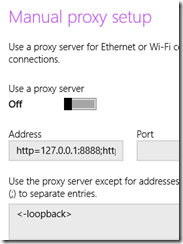 Xamarin build server is too old? This morning, no idea why, trying to compile a Xamarin.iOS app resulted in an error “Xamarin build server is tool old…” apparently without any reason since nothing has changed on my machine during the weekend. 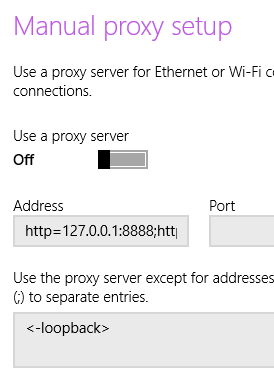 Tried also connecting to a different Mac machine but error was still there while compiling using Xamarin Studio on the Mac machine was ok.
After some investigation I’ve found the solution: looks like that “someone” changed my proxy settings (probably Fiddler) and that was causing the weird message. Hope this will help you in case you see this weird message too. When you manually edit .axml files inside Visual Studio 2013 you don’t have any minimal intellisense support, and, as Visual Studio user, you know how frustrating is typing without any kind of help. 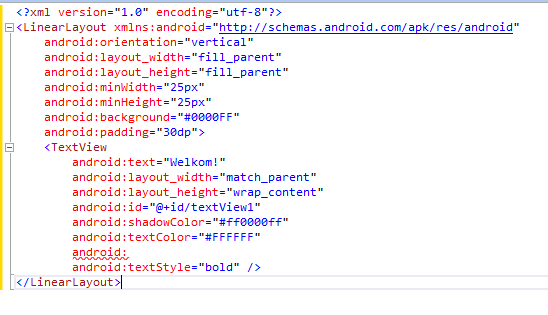 Since editing the same file using the XML editors brings you a ‘partial’ intellisense i tried to find what was the difference and finally found how to enable it also inside Android designer source view. 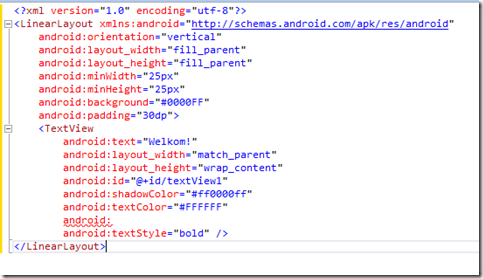 2-Navigate to C:\Program Files (x86)\MSBuild\Xamarin\Android and select android-layout-xml.xsd file. 3-Click Ok to confirm and dismiss the dialog. 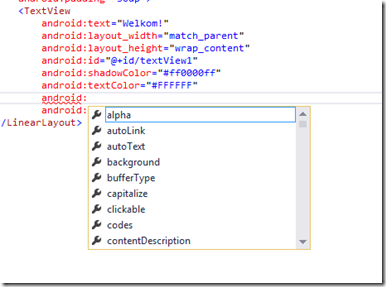 Of course, this is not the same experience we have in XAML, but better than nothing. 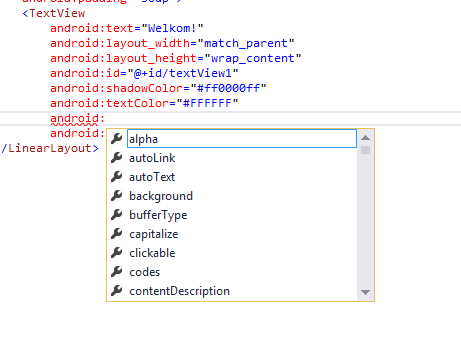 After adding the schema, the first time you add a new Android layout Visual Studio asks you to trust a new file, just select Trust and everything will work as usual in future.